A most incredible water park that has it all. Fantastic climate almost year round. Siam Park & the most amazing attractions that you could ask for in a water park is set in beautiful surroundings. If you want to enjoy one of the best water parks in the world, Siam Park is the place to go. For that special occasion why not have a Cabana! Relax on the white sand of Siam beach beneath palm trees as you gaze out to the spectacular views of the sparkling Atlantic and the island of La Gomera. There are amazing attractions to suit the daring and the not so daring. Smaller children can enjoy their own special Lost City with gentle slides and a fortress with splashy waters and bridges to cross. They will also love to watch the Sea Lions play as they welcome you at the entrance. 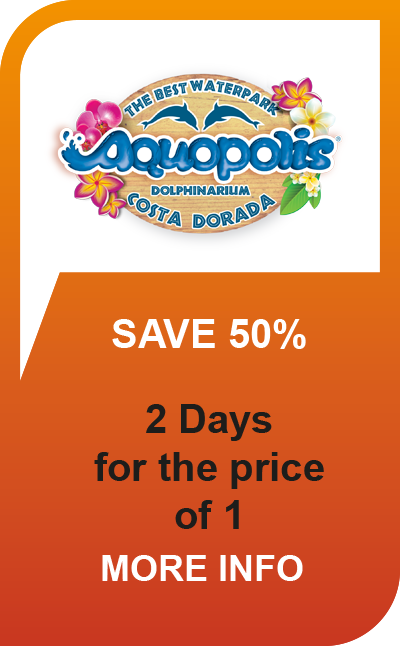 Don't forget to check out our Siam Park Offers page, to enjoy even more savings!